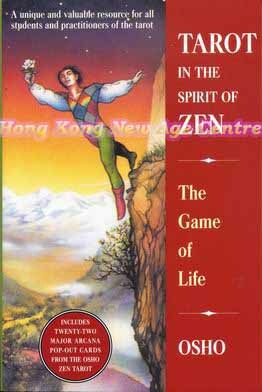 A must-have for owners of the phenomenally popular Osho Zen Tarot, this in-depth study of the cards in the Osho Zen Tarot deck will also appeal to those who use the Rider-Waite, Crowley, and other more traditional cards. The "here and now" approach of Zen offers the insight that the future evolves out of present events, ideas, and attitudes. Playful and accessible even to the novice, this remarkable handbook includes a table of correspondences for the Rider-Wiate and Crowley decks, and special sections on the meanings of the four major elements, or "suits," in the tarot system. Tarot in the Spirit of Zen introduces readers to a deeper understanding of the Zen approach to becoming aware of and responding to life's challenges. Just like the Osho Zen Tarot deck, with its fresh and contemporary approach, the contents of Tarot in the Spirit of Zen are relevant to anyone who is interested in self-exploration and personal transformation.